EXCLUSIVE AT NET-A-PORTER.COM. 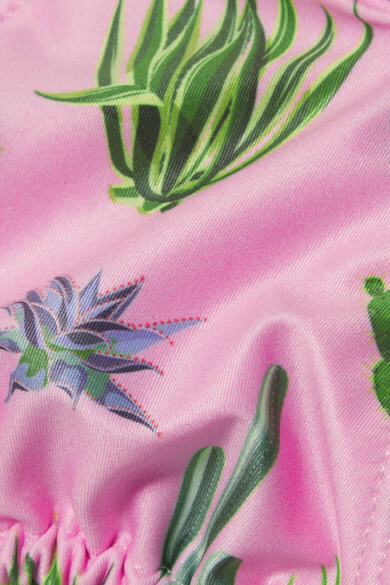 VerdeLimón looks to the tropical landscapes of Colombia when designing its vibrant prints. This 'Moa' bikini top is patterned with cacti just like the matching briefs and robe. It's made from supple stretch fabric that's lined for opacity. Wear it with: Bibi Marini Earrings, Mallarino Bangle, Sophie Buhai Bracelet.